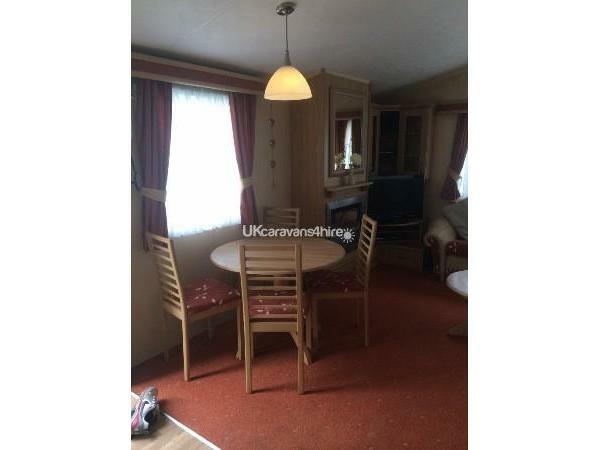 Additional Info: Very well kept family caravan, lovely and homely and very spacious. £50 deposit which is refunded 1 week after holiday if all ok on departure. Full balance to be paid 8 weeks before arrival. The deposit secures your holiday dates. 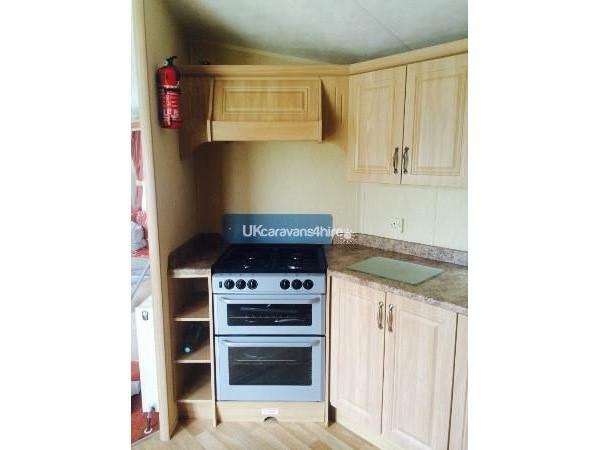 Homey and well equipped family caravan, 6 berth. Very spacious and open plan living and kitchen area, including dining table. 32in TV, DVD player and music system. Microwave, kettle and toaster. Large built in fridge freezer. 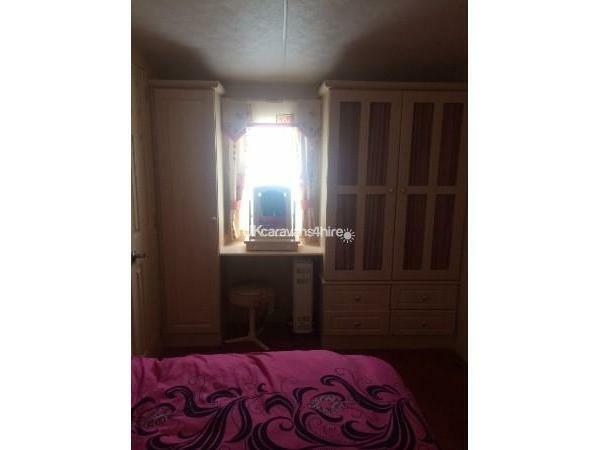 Large master bedroom with en suite and dressing table, double wardrobe and 4 drawers plus over bed storage and tall cupboard. 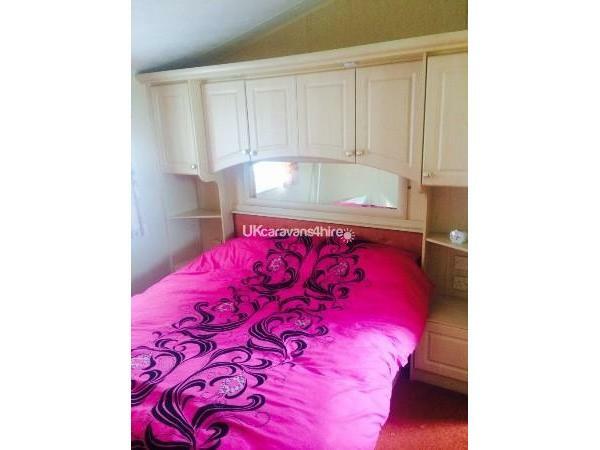 Twin bedroom with single wardrobe and 2 cupboards . Main bathroom with shower and toilet and mirrored cupboard. Outside decking with table and chairs. Off road parking. Situated in quiet end plot with no through traffic, ideal for children playing. 10 minute walk from main complex which inudes the show bar, cafe bar and pool. Thorpe Park itself is within 5 miles of the theme park Pleasure Island, Jungle zoo, Cleethorpes Leasure Centre and the beach, also Cleethorpes pier and amusements. Please note fun works passes are not included but can be purchased from reception. Additional Info: Fun fair, climbing wall, bunjee jumpers, water walkers, zip line, outdoor water slides and lazy river including space bowl, water activities including aqua gliders and aqua jets, pedal bikes, green team activities and Nature Rocks activities, football, archery and fencing coaching, indoor soft play area, kids clubs. 2 kids play parks, lakes with ducks. Thankyou for the feedback Michael, hope to see you return in the future. 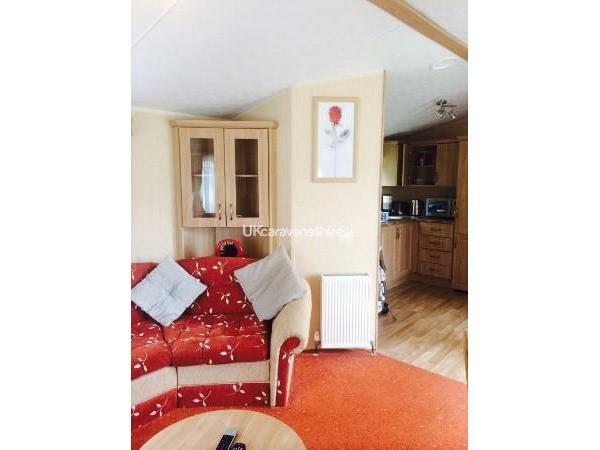 Lovely clean spacious caravan in a nice quiet area of the park. Great value would definitely recommend. Thankyou Julie for the kind feedback, pleased you enjoyed your stay. 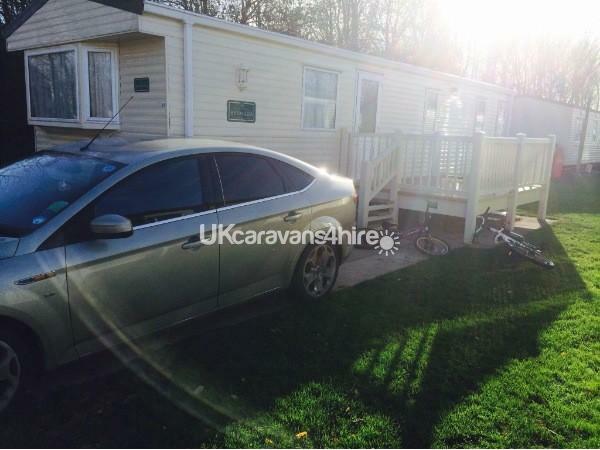 I stayed in this caravan fri til mon with my 2 older daughters and my granddaughter, the caravan was lovely and clean and very spacious,will definitely book again,we had a lovely time,it's not far from all the amenities,we enjoyed the walk and my granddaughter loved showing us the shortcuts to the park. Would definitely recommend. Thank you for the feedback Pam. We would love to welcome you again. Excellent from start to finish, on arriving we found the caravan to be lovely and very very clean, it is lovely and comfy with nice little touches that make it feel like home.there is a nice big shower cubicle, loads of space in the double bedroom with en suite. The veranda is a good size and we enjoyed having breakfast on it in a morning. Excellent communication with the owner's, i would definitely recommend this van. Thank you for the kind feedback Dianne, I am pleased you had an enjoyable stay. 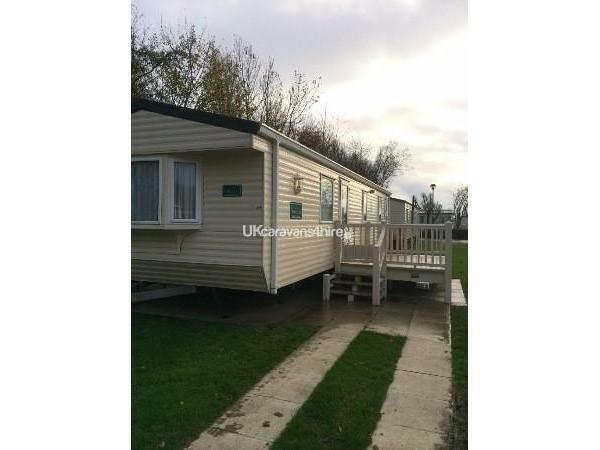 lovely spacious caravan with everything you need for a holiday, clean and tidy, nice balcony and it was nice and sunny for most days for time of year. Really nice park and lots of walks to go on. Recommend Sealane Fish & Chip shop in North Sea Lane. Louise was great with communication. Excellent accommodation with a location. 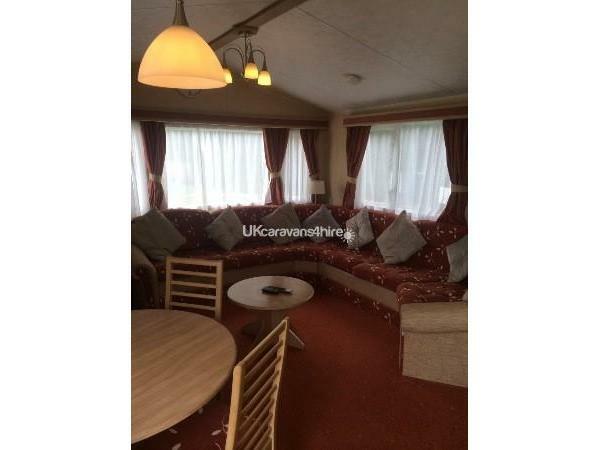 The caravan was extremely clean and well equipped. Thorpe park is a great site and adjacent to all the attractions of cleethorpes. 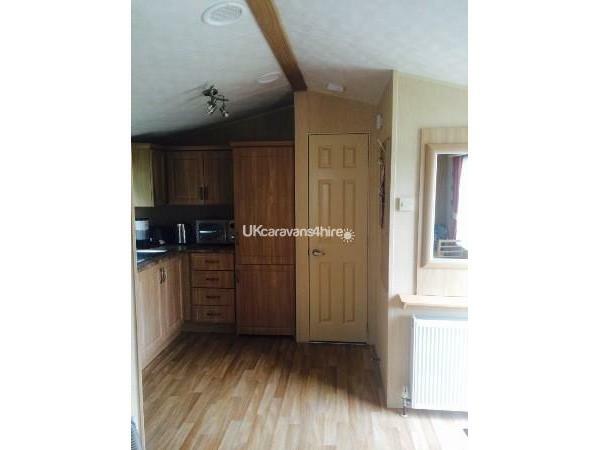 Really nice van ,good lay out,very clean,big bedroom with comfortable bed,decking in the sun all day and a good size,quieter area of the park,good value compared to other vans and good communication with the owner.Highly recommended. EXCELLENT ACCOMODATION, FRIENDLY OWNERS & LOVELY LOCATION CLOSE TO BEACH. DEPOSIT REFUNDED PROMPTLY. HAPPY TO RECOMMEND. On contact the owner was friendly, helpful & happily answered our queries before & during our stay. 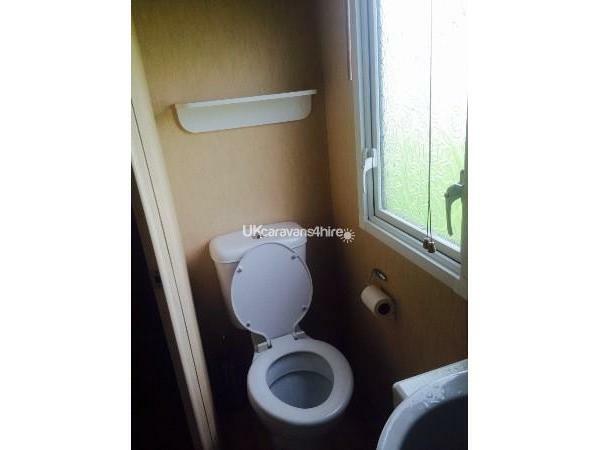 A lovely, modern caravan which was well equipped. 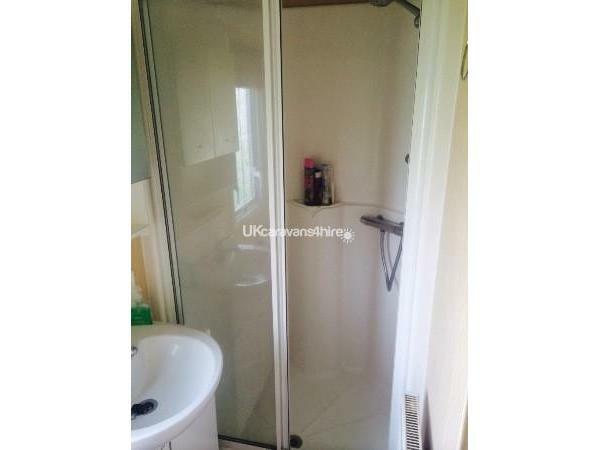 Was pleased to see a large shower unit (no banging elbows on the sides! 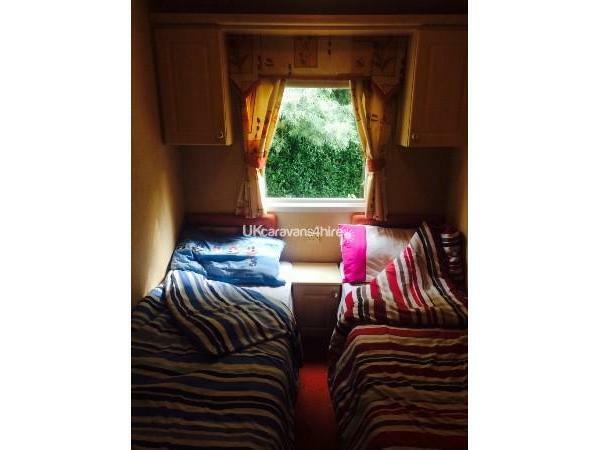 )An enjoyable stay in a spacious, clean & comfortable caravan. Would recommend.